The marijuana industry is not only beginning a new year, it’s starting a fresh era in which it could flourish with opportunity or regress under a White House that could resurrect the crackdowns and raids of the past. 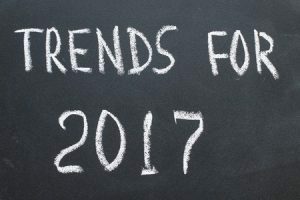 We examine seven of the top issues the industry could face in 2017. The biggest question hanging over the marijuana industry is whether the administration of Donald Trump and his nominee for attorney general, Alabama Sen. Jeff Sessions, will interfere with the state-legal medical and recreational programs, or leave them alone as President Barack Obama has. Nearly 47% of business owners surveyed by Marijuana Business Daily in December said they had no plans to change their growth plans because of Trump’s presidency. But 19% said they would either curb or accelerate their growth plans because of worries over how Trump will treat the marijuana industry. And another 34% are holding off on major decisions until they know Trump’s cannabis policies. Whatever those policies turn out to be, marijuana businesses must know how to respond. That means they must approach expansion cautiously, take steps to protect themselves and their businesses and even be prepared for the worst – crackdowns. “Start sending money to your lawyer now,” advises Andrew DeAngelo, co-founder of the Harborside dispensary in Oakland, California. But the Trump administration may also choose to leave the cannabis industry alone. If it does, those companies that are overly cautious or wait too long could be left behind by those that proceed with expansion plans despite the dangers of a Trump administration to the cannabis industry. With eight states having approved marijuana measures in November and major markets such as Maryland, Ohio and Pennsylvania coming online soon, the opportunities for expanding into new markets are ripe. But expansion could have pitfalls as well, particularly for companies that may not have the resources to make the investments that go along with expansion, such as real estate, building construction and hiring staff. “If you’re a small manufacturer who wants to operate in multiple markets across the state, you could get cash-strapped pretty quickly,” Bulbulyan said. Indeed, expansion into California or other new recreational or medical states could prove the undoing of companies that might not be prepared to handle the rigors of expansion, especially the costs. “There are companies that are going to try to expand, but they’re going to find out that they’re overstretched,” said Kayvan Khalatbari, founding partner at Denver Relief Consulting. Oversaturation forces down prices of goods and services, a lesson growers and retailers in Colorado and Washington have already learned. As such, another issue facing the industry in 2017 will be falling prices brought on by oversupply. Consider California, where recreational market regulations will make it harder for growers to unload cannabis on the black market. “With regulations, we’ll see less export of product out of state, and that will drive down prices,” said Morgan Paxhia, a managing partner with Poseidon Asset Management, a cannabis investment firm in San Francisco. Wholesale cannabis prices in California have been hovering around $2,000 per pound, but as licensing proceeds and more cultivators get operational, prices will fall, Bulbulyan said. Consolidation and merger and acquisitions will become increasingly common as the cannabis industry landscape expands. “You’ve seen a lot of consolidation in retail partly because individual dispensary owners have found that it’s a difficult business, and they find it’s easier if you have a larger company that can scale some of the needs that you have,” said Taylor West, deputy director of the National Cannabis Industry Association (NCIA). A big issue facing dispensaries and rec retailers is whether they should try to remain small and independent, find partners with whom they can merge or even let themselves be gobbled up. Bulbulyan sees a shakeout on the horizon. It’s difficult to know how the Trump administration will treat the marijuana industry, but there is no reason to give federal authorities reasons to interfere with it, such as a disregard for safety, ethics and state and local cannabis laws. Banks, observers say, are increasingly willing to work to have marijuana businesses as clients. Indeed, 10 U.S. Senators noted in a recent letter to the Treasury Department that less than 3% of the nation’s banks or credit unions serve cannabis clients. While that’s relatively small, it still translates into about 360 institutions serving marijuana businesses. But for those banks to accept legal cannabis-related accounts, business owners must have impeccable record-keeping and make sure their operations are fully compliant with state laws and Financial Crimes Enforcement Network guidelines. Whether businesses stay small, expand or merge, it’s crucial they establish an identity that sets them apart and helps them define and develop their brand. “This market still has lots of room for boutique operators, but if you want to try that you have to be very savvy about how you brand yourself and what niche you’re filling in the market,” said the NCIA’s West. One way to do that is to create product in a sustainable or environmentally way. “That will make a difference in where people shop, not just who has the cheapest product,” Khalatbari said. Bulbulyan observed that retailers are becoming “picky” about what they carry. Trump is the first openly pro- cannabis President since Thomas Jefferson Drew hemp. It’s sad that the industry is ignoring the fact that we have a cannabis advocate as President. I don’t care about Jeff Sessions, he works for Trump not the other way around. Scott nailed it! Industry needs to stop hating. … Joey, was post of Trump’s sayingsis nearly an year old. Brand definition is a big opportunity for cannabusiness. Plenty of consumers will be curious about marijuana products as the government brings it out of the shadows (exactly where the government put it, but that’s a different story) and will want to know what kind of products they’re buying into. Exciting times! Excellent article. Education and communication has always been the key to good business. Looking forward to the future of cannibas. All you Trump lovers….care to comment on this?